Earlier this week, Boeing rolled out the first 787-9 in the Air New Zealand livery. For those of you who don’t normally follow these sorts of things, the 787-9 is an lengthened version of the original 787-8 and is capable of flying longer distances with increased efficiency. I’ve only seen a handful of pictures of this particular aircraft so far (registration ZK-NZE), but I knew right away that I had to do an illustration of it as soon as I saw it. 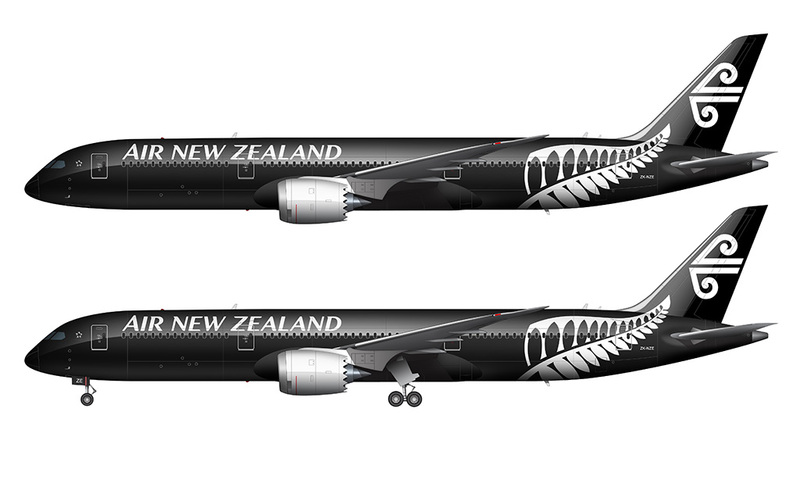 The livery that Air New Zealand chose for this aircraft is a one-off special variant, and it features an all-black fuselage with the New Zealand Trade and Enterprise logo printed in white on the rear 3/4 section of the plane. The standard Air New Zealand titles are in white, as are the engine nacelles. It’s a sharp looking aircraft! From an illustration point of view, this one was more difficult to recreate than most. The black paint meant that I had to put much more detail into the gloss and reflections – details which aren’t normally visible on white and light-colored aircraft. 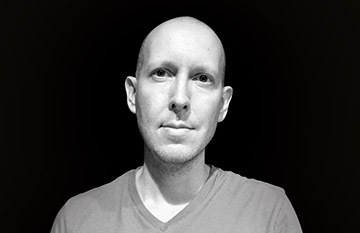 Yeah, I did have to take a bit of artistic liberty on some of those highlights and reflections, but that’s what being an illustrator is all about: emphasizing what’s important, and down-playing what’s not. 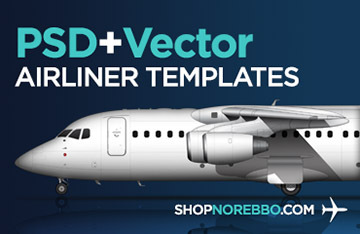 That means something different to every illustrator, and I’m willing to bet that anyone else who creates an illustration of this aircraft would choose to handle the reflections and highlights differently. 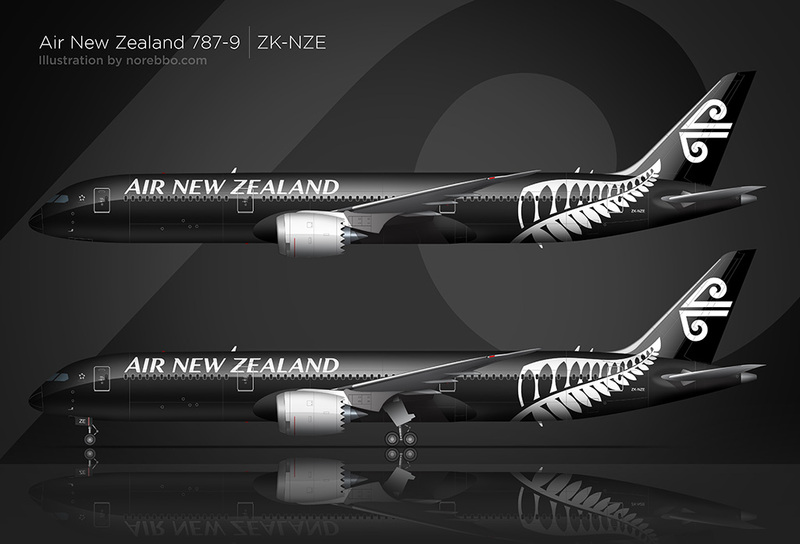 I give Air New Zealand huge props for making such a bold statement on a revolutionary aircraft such as this. The 787-9 is going to be hugely popular with the airlines and they played the launch customer role perfectly by designing such a stunning livery for an equally stunning aircraft.